Here are 84 (yep, count 'em!) 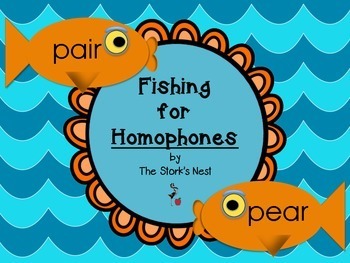 pairs of homophone kissing fish for your students! 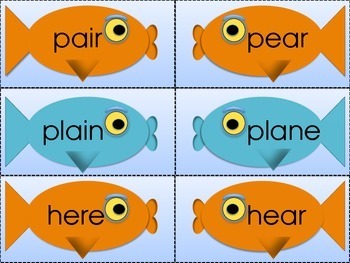 Use them in a literacy center as a matching game, use them as vocabulary exercises, or make a bulletin board with them! 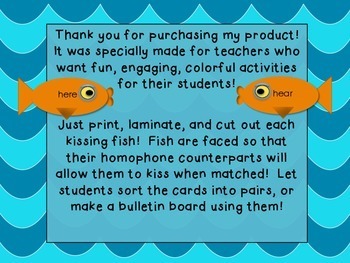 I glued a paper clip to the back of each fish and attached a magnet to an ice fishing rod and let my students "fish" them out of a barrel! 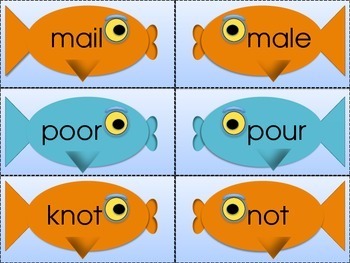 These full-color kissing fish are faced so that when they are matched with their homophone counterparts, the fish kiss! Happy fishing!